U.S. Renal Care has opened a new dialysis clinic designed by Honolulu architecture firm AHL in the former Simply Organized space at Laulani Village Shopping Center in Kapolei. The 15,400-square-foot clinic, which opened on Tuesday is Hawaii’s newest and “most advanced clinic to treat chronic and acute renal disease,” AHL, also known as Architects Hawaii Ltd., said in a statement. 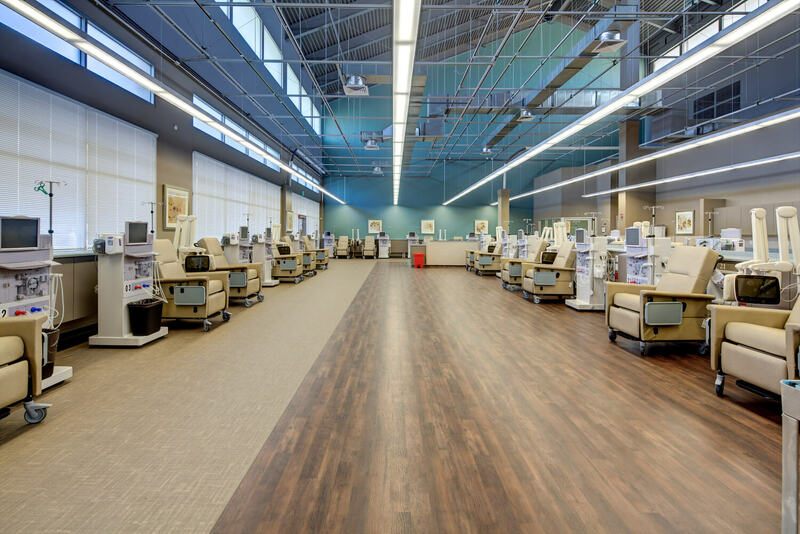 The facility features 24 patient treatment stations, including one private treatment station and four training rooms for learning at-home hemodialysis or peritoneal dialysis services. The Kapolei clinic can treat 72 patients a day in three shifts. U.S. Renal Care has 16 clinics in Hawaii, all on Oahu.